Just upstream from the mighty Victoria Falls facing the Zambezi National Park on the other side of the Zambezi River, lies the Mosi-oa-Tunya National Park, home to buffalo, impala, zebra, giraffe, warthog and the endangered white rhino. 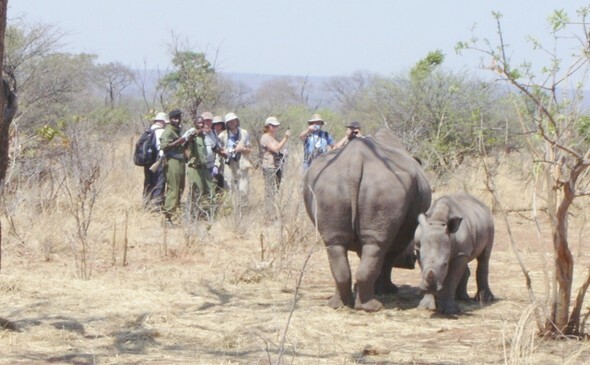 On a rhino walk, you get to come close to the amazing and sadly highly endangered white rhino. The trip starts with a drive into the national park, where you will be transferred into a safari vehicle and meet the guides and trackers, who will have come out earlier to look for the rhinos. After a briefing on what to expect, safety and how to have a memorable encounter, you will be driven to the area where the trackers would have located the rhino. From a distance, you get to interact with the rhino and take pictures. 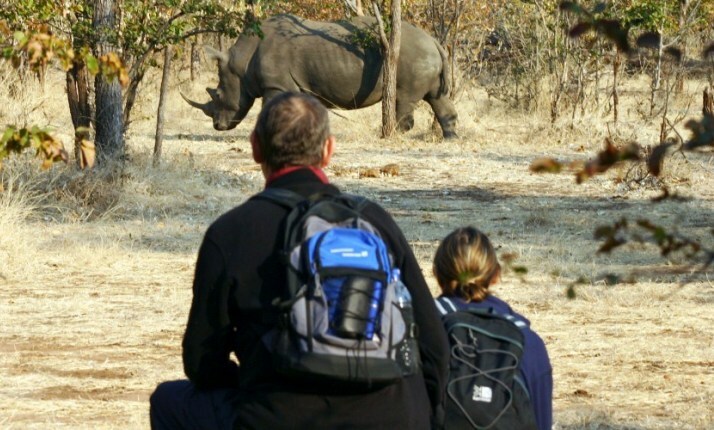 The guide gives insight to the rhino and other wildlife in the area that you meet during the walk, as well as the flora and spoor found during your safari. After two hours of getting to know the area, drinks and snacks will be served at a picnic site reserved for you. After the picnic, you will be escorted by your guide to the park gate for your transfer back to your hotel or lodge, or your next activity. Kids as young as 14 can meet one of Africa's "Big 5"
• Clothing: Suitable closed walking shoes with a thick sole - no sandals. Long-sleeved shirts are recommended to help with sun protection, but short-sleeved ones are fine as well. Avoid white and bright colours! The minimum age for the walk is 14 years of age. Many thanks for all your assistance. You have probably been the most responsive and helpful tour organizers I have worked with- anywhere in the world. I'll be sure to recommend you to my colleagues and friends. All the activities lived up to the hype! Just wanted to let you know that we are now back in Swaziland and had an incredibly fun time enjoying Victoria Falls! All the activities lived up to the hype and I would like to thank you for all your help in organising a busy but full holiday for us! Everything went smoothly from the moment we arrived to the time we left. Also wondering where you prefer to have your reviews written? Hope you are keeping well.I must say a very big thank you for all your assistance and advice for my trip. I had the most amazing time at Vic Falls, a memory I will not forget. Thanks a million once again. We would like to offer our thanks for sorting a fantastic itinerary for our all too short visit to Vic Falls. The cruise on the Zambesi at sunset was a delight and the helicopter flight breathtaking! The pick ups were punctual and staff members were all very smiley, friendly, helpful and good company. 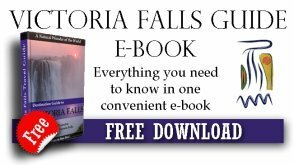 The whole experience of the actual Falls and the town itself was outstanding. We will return! Your company will be our first port of call. Many thanks for a very efficient service.